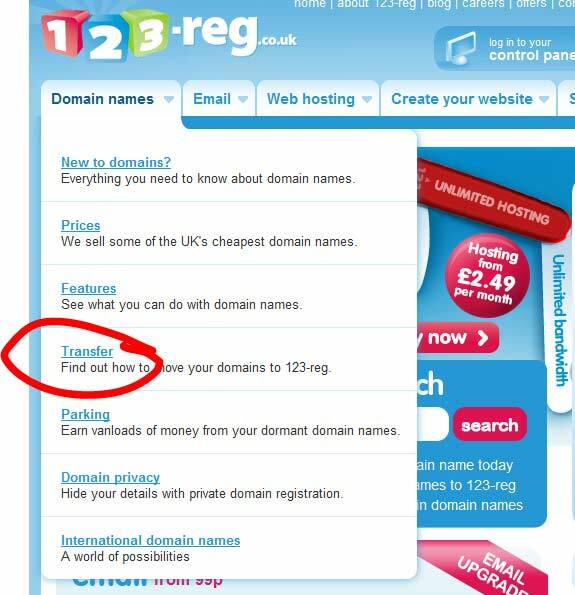 If you already have a .co.uk domain name bought and paid for, you can transfer it to 123-reg.co.uk free of charge and use the DNS management tools to point it at our nameservers. You might want to have a look at their Domain Transfer Checklist page before you get started. There are different rules for .uk domains and for .com domains (dotcom domains are referred to as TLDs or top-level domains). In a nutshell, for .uk domains you need to ask your existing registrar to change the IPSTAG and for TLDs you need to ask your existing registrar to unlock the domain. Once you've transferred your domain to 123-reg, you can use their web-based admin system to update the nameservers.